I'm not going to talk about how much I enjoy the fall season since you have already read about it in almost all of my recent articles. One thing I don't talk about is how tight money is during this time of the year. It isn't due to making less money, but more the number of holidays and family outings that happen during the fall and winter months. With recipes being prepared, gifts given out, and decorating the house, there isn't much money left for other excursions. Yet, we still need a vacation during the colder months. I usually take two weeks off each year; one to a new place around the world, and another in the comfort of my own home. If you, like me, don't have the extra expenses to take yourself out of state during your vacation, it might be time to think of a perfect staycation. We usually think of this as dull and catching up on chores around the house, but it can be a lot more enjoyable. 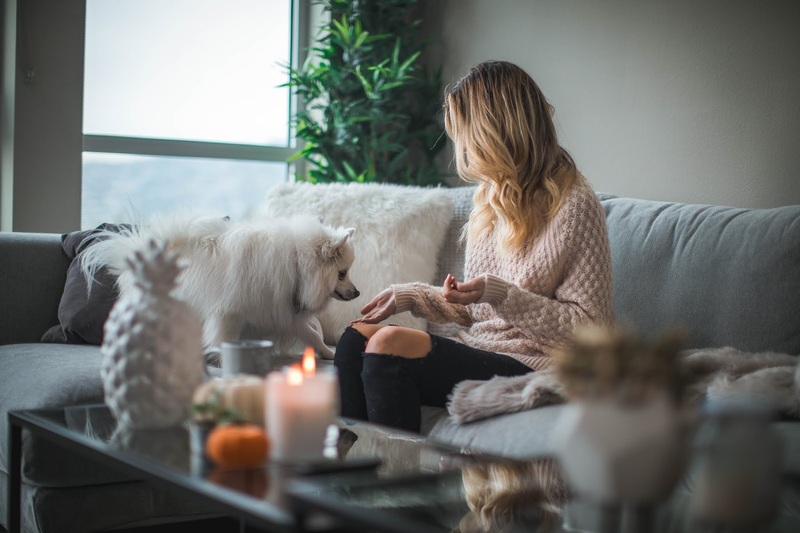 While I do take this time to get my house in order and get little errands done that have been on my to do list for months, I also take this time to relax and recover from the stresses of work. 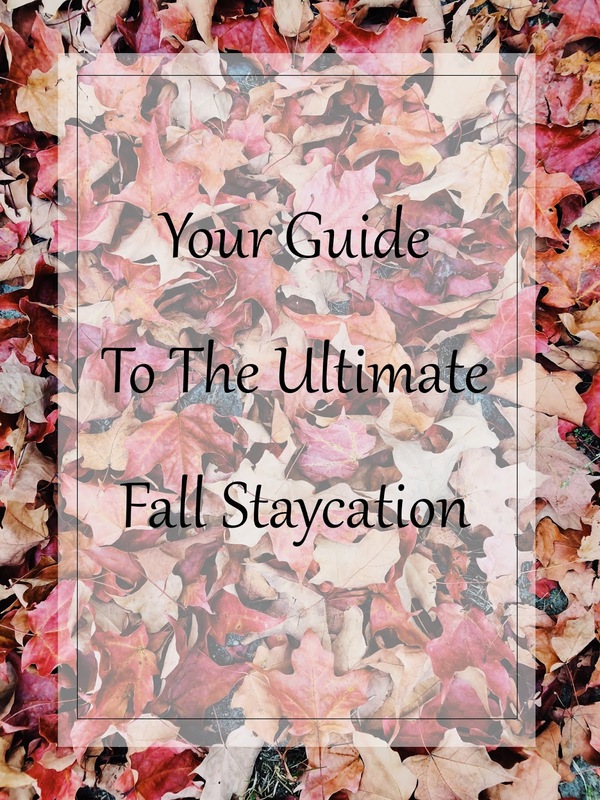 This is where my ultimate staycation guide comes in handy. You can have fun in your hometown, save a few pennies, and still get those pesky chores out of the way. Why compromise when you can have the best of both worlds? Pick a couple, or all, of these ideas and have the best few days off while staying warm in the comfort of your home. It might be just the thing your body needs. Let your creative side out. I love doing little projects on my days off. I'll scroll through the DIY section of Pinterest and attempt as many of the pictures as I can. Usually, they don't end as incredible as the pictures, but the process is still just as fun. This is a great time to create homemade Christmas gifts, make some cheap home décor, or try your hand out at those candles that are too pricey at some stores. Growing up, we always used this time to make cute ornaments for the Christmas tree and make collages of everything we wanted (personal and physical goals). This is a cheap way to keep the family happy, have a bonding moment, and try your hand at those ideas you've been eyeing for months. You don't have to create the Mona Lisa, you just need to enjoy the moment. After all, those are always priceless. During the fall season, there is almost always something to do in or around your hometown. You can go apple picking, pumpkin shopping, or just visit a local museum. Usually, you can go to your towns site to see any events that are happening around you and try to visit a few of them. This is a great way to get out of the house without breaking the bank. Personally, I love going to the zoo. It has always been a family favorite for us and, even during the colder months, brings out the inner kid in me. I also love using this time to go to a few museums that I rarely get to visit now that I'm an adult. Can't find anything to do? You could always go on a fun bike ride or hike. Just because you are not leaving the state doesn't mean you can't find beauty in the nature you live in. Is it too cold to leave your house? Bring the fun to your home then! This time of year is an excellent opportunity to get friends and relatives together. Create a themed party (like Ugly Sweater) or just have everyone bring a snack and enjoy the company. One thing I do love about the cold weather is that it is perfect for outdoor bonfires. If you have a backyard, get a cheap fire pit (or create one in your DIY frenzy), and enjoy the company around the warm flames. We usually don't get to see our family and friends during typical work weeks. With these days off, catch up on missed time. Even if you don't have the room for a party, you can still invite a few people over for a movie night. You can also make it into a poker night (why not make a few bucks off your friends?). Go to a local game. The fall season is also well known as football season. Take a few friends with you to a football game and cheer on your team (even if you have no clue what is going on). While I'm not a sports fan, I always enjoy going to college football games. Everyone is in such a fantastic mood, it is relatively cheap entertainment, and it gets you out of the house. Want to make a day out of it? Grab several friends and tailgate beforehand. We might not be able to have a chef like Gilmore Girls, but we can still enjoy a few beers outside the stadium before the main event. This could be that winery that is right outside of your hometown, a restaurant that is owned by a family, or that cute boutique you keep wanting to go to. With the holidays, we sometimes forget about the local stores around town. Trust me, corporations are making enough money with Black Friday and all the cheap gifts you can get. Invest your money back into the community by visiting some unique places you can't find anywhere else. You get to have a fun day out and about, potentially buy gifts your family won't get anywhere else and support your community. That is a win-win in my book. It doesn't even have to be a movie, but make at least one day a lazy day. I love giving myself at least two days out of my staycation to pamper my body and mind. I do this by taking a relaxing bath, moving intentionally, and either reading a great book or watching a movie. When was the last time you had an entire day where you did nothing but relax? A staycation is a perfect chance to give yourself a self-care day. Light a few candles around the house, eat your favorite foods and enjoy the day. Even if your form of enjoyment is cleaning, find something that brings your soul joy and do it. These little things do wonders for your mental health. Tell me in the comments below, what are things you love doing during a staycation? Do you have anything planned for your vacation? Even if all you do is take a break from social media, a few days away from the scheduled chaos is needed for our sanity.